Ang Siak Keng advises on all aspects of local and foreign clients with respect to a broad range of corporate and commercial matters including IPOs, M&As, due diligences, corporate restructurings, debt restructurings, corporate governance, international joint ventures etc. He also advises on general conveyancing and corporate loans. He has advised several companies in their IPOs exercises. He has also advised several public listed companies in various aspects of their corporate exercises and complying with Securities Commission’s Guidelines, listing requirements, Capital Markets and Services Act, Code of Take-over, etc. He had advised foreign investors in setting up operations in the states of Penang and Kedah, Malaysia and local clients on technology transfer from overseas partners. He had also advised multi-national corporations on their global stock option schemes. 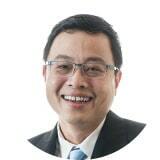 Ang Siak Keng is a Partner with Zaid Ibrahim & Co. (a member of ZICO Law), in the firm’s Penang branch. He has been practising corporate and commercial law since 1996.